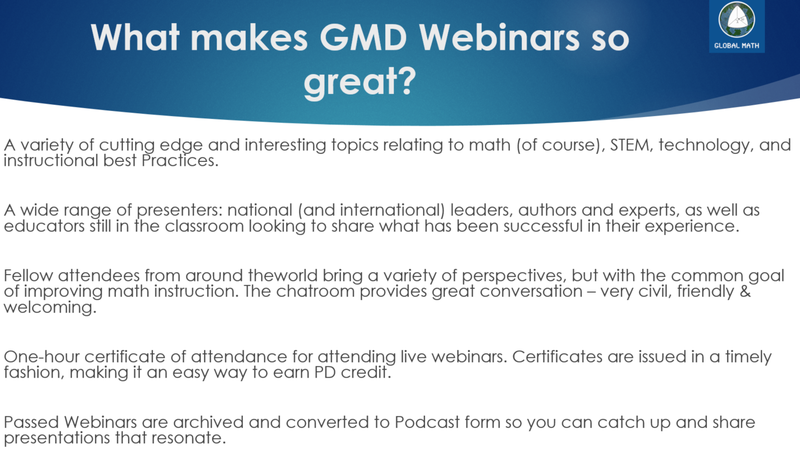 Click here for the webinar page! If you are interested in joining our team send us an email! The sociopolitical dimensions of mathematics education have been addressed by teachers, teacher educators, and researchers for many years already. But what stands out is how these concerns are starting to enter mainstream and popular discourse and how the artificial dichotomies between equity and “actual math teaching” are slowly being broken down. It is no longer good enough that concerns about critical mathematics, social justice, identity, race, gender, and language politics (among many others) are confined to isolated professional development sessions which are set apart from sessions on pedagogy and content. It is no longer acceptable that such sessions are left to be facilitated by one of the few people of color on scene. Equity is mathematics teaching is mathematics content. 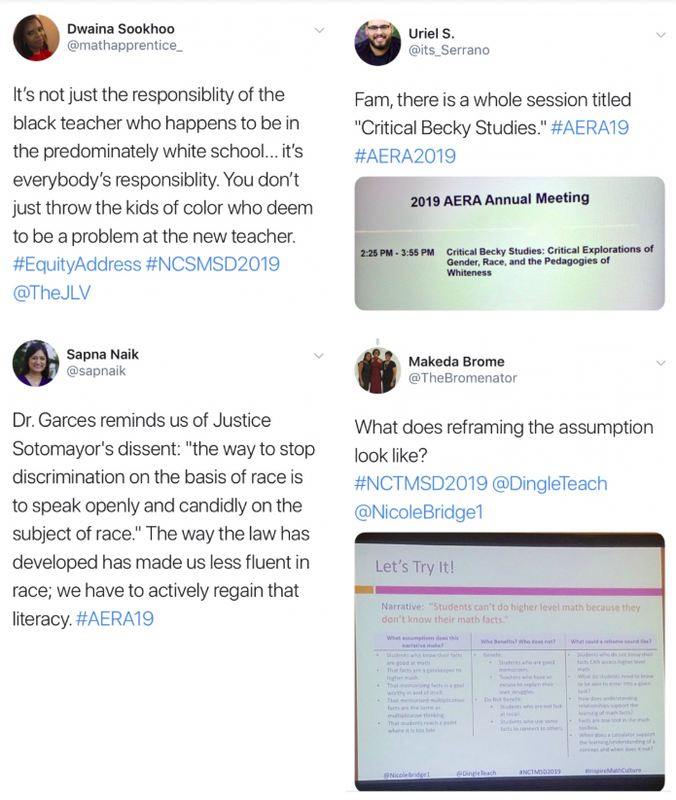 What the programmers, presenters, and attendees at NCTM Annual and the AERA Conference are starting to show us is that equity belongs in our daily discourse on teaching and learning. They also highlight that teacher presenters and researchers of color have important voices to contribute to conversations on math education, that such voices are not homogenous, and that raising concerns for equity is not the only contribution we have to give. This was my first NCTM conference. On scale, it dwarfs what I am used to, OAME (Ontario Association of Mathematics Educators). At over 7000 participants, it’s over 6 times the size. Overwhelmingly, the theme of the conference was equity, which was threaded throughout conversations, feature sessions, keynotes, Ignites, and ShadowCon. You have probably heard @theJLV saying for years that mathematics is never neutral, and he said it again in his Iris Carl Equity Address. Here is a slightly older piece that I use with my own teacher/students on this topic: Math Was Never Neutral. Sometimes that one anecdote is the thing that sticks with you from a conference, and for me, it’s Gloria Ladson-Billings in her conference opening keynote talking about a fractions problem involving baking soda, salt, and…alum. Don’t feel bad, I Googled it too. Young Gloria was told by her teacher that it doesn’t matter what alum is, which is a great reminder that all contexts are cultural, and some are just bad. She was curious, she felt knowing what alum is would help her solve the problem, and her teacher just…shut her down. I would say more, but I had one sided conversation during the conference about how more and more “progressive” white educators are stepping aside and letting people of colour speak their truths, so that is exactly what I am going to do, right now. You don’t need to hear more from me- go look at the hashtag, #NCTMSD2019, and listen, and learn! I am lucky to be a Math for America, Los Angeles fellow. 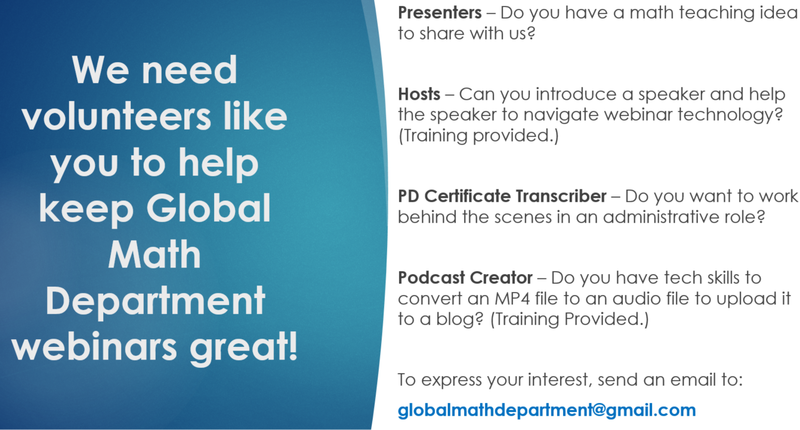 If it were not for this collective of funded math teachers I would not have the opportunity to attend conferences. Knowing my distinct position of privilege, I am wondering how to spread the wealth of knowledge gained from attending the conference. Therefore, I implore each of you to advocate that least one colleague join the hive-mind that is the Twitter wealth of knowledge. 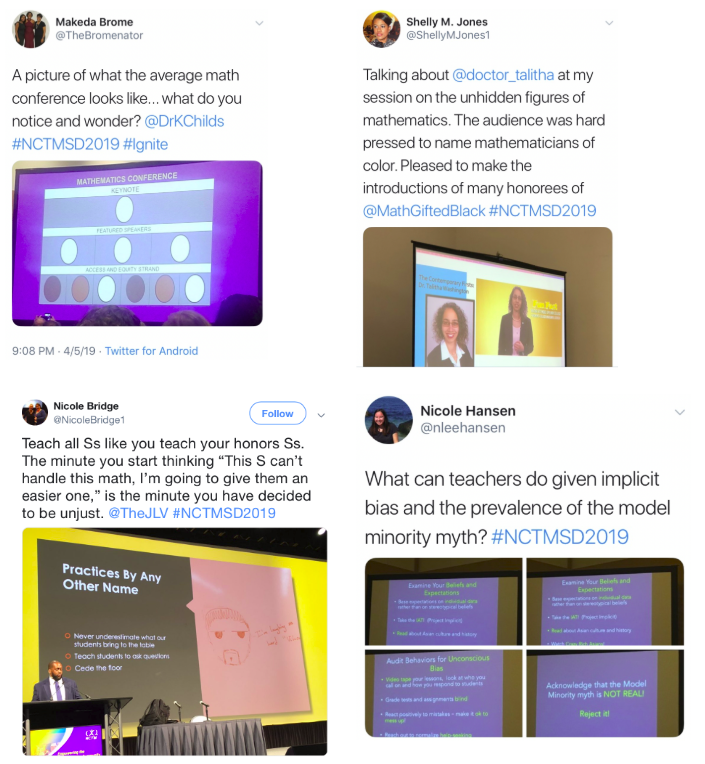 Based on my interactions at NCTM there are many attendees that are not yet taking advantage of the PD opportunities that math Twitter has to offer. And based on the tweet below there are still many more math educators that were not in attendance at the conference at all. I spent a bit of time hanging out with Annie Fetter at the #MTBoS booth. No matter how mixed our feeling are about this space – it is the antithesis of Teachers Pay Teachers – there is a community of educators that are willing to answer questions and share resources. While at the booth I found myself saying, “Because I use Twitter, I now have access to people and ideas.” For example, when I tweet @ddmyer or @eliluberoff they respond! When I lurk on the #ClearTheAir chat my ideas and worldview are challenged and pressed. We want your voice. Your views are distinct and valuable. Summon your inner Gryffindor and bravely join the conversations; then invite a friend to join as well. Curiosity about students’ mathematical thinking is at the heart of effective and joyful mathematics teaching. There are four channels via which we can gather information about student thinking: we can look at student work and products, we can observe and listen to students while they work and talk, we can confer with students about their thinking, and we can ask students to reflect on their own learning and share their self-assessments with us. We’ll explore how to open these four channels strategically, so we can gather better, richer, more interesting information about our students and their thinking, even when using curricular materials that don’t prioritize formative assessment.